This year’s Consumer Electronics Show (CES) highlighted the cutting edge of innovative and transformative consumer technologies, ranging from the newest line-ups of televisions to the futuristic autonomous car. Companies touting Internet of Things (IoT) technologies were out in full force, with the latest smart home devices and smart watches dominating CES headlines. 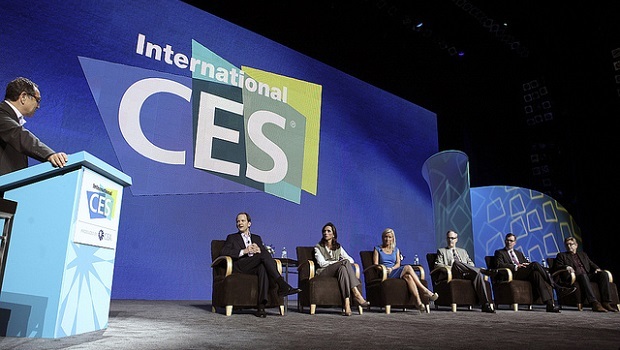 While it comes as no surprise that these technologies are quickly transforming the consumer technology marketplace, this year’s CES saw a host of connected devices that cement the role of the Internet of Things in improving consumer health. By collecting and analyzing more biometric data, these devices are helping consumers achieve healthier lifestyles, enjoy more convenience, and provide health care practitioners with data to better understand and treat diseases. Companies introduced a host of new devices at CES that collect and analyze biometric data to give users valuable insights about their health and thereby promote healthier behaviors, such as more effective workouts and better sleep. Helping parents keep tabs on their children’s health was a common theme at CES, with companies offering devices like a Bluetooth-enabled pacifier to track a child’s temperature, a sensor-laden children’s mattress to monitor a child’s sleep habits, and a wearable baby monitor to monitor an infant’s well-being. While wrist-worn biometric monitors have been around for years, new devices like Zensorium Being use the biometric data they collect to provide data-driven advice to users on how to reduce stress and improve their mood. Off of the body, a handful of other new connected devices demonstrate how using data makes it easier to get and stay healthy. The Quitbit lighter, a battery powered Bluetooth-enabled lighter, is designed to link with a smartphone to help users monitor their smoking habit and set limits on how many times the lighter can be used per day. The app can even track lighter usage over time to show users how much money they are spending on smoking as a way to incentivize quitting. Quitbit will compile data about users’ smoking habits to provide valuable insights into things like what time of day they smoke most and how their smoking is affecting their activity level. Though it remains to be seen if a connected lighter can help people kick their smoking habit, the Quitbit is a novel, relatively inexpensive device ($99 on pre-order) that helps users better understand how much they smoke and how it affects their health. One interesting device for improving health unveiled at CES is one that consumers will hardly interact with at all. Developed by BlackBerry and health data company NantHealth, the HBox is designed to be the hub for all of the health data generated by smart devices in the homes, such as smart bathroom scales or networked blood pressure cuffs, and can securely transmit all of this data to healthcare providers. Consumers can use this device to transmit the results of at-home medical tests (thereby saving patients a trip to the doctor’s office), provide their doctors with access to real-time health data (thereby receiving more-informed treatment recommendations), and grant healthcare providers access to the health data necessary to improve care. This year’s CES not only proved that the Internet of Things will dominate the consumer electronics market for the foreseeable future, but that it will also be an important part of healthcare. Connected devices are already emerging that help consumers lead healthier lives and make better decisions about their health and fitness. Policymakers need to understand that the rules they make will impact consumer access to this technology. Given the importance of the Internet of Things to health care, policymakers should tread lightly and avoid unnecessary and onerous regulations that might impede innovation in this space. Instead, they should embrace the Internet of Things and encourage the adoption and use of these technologies.